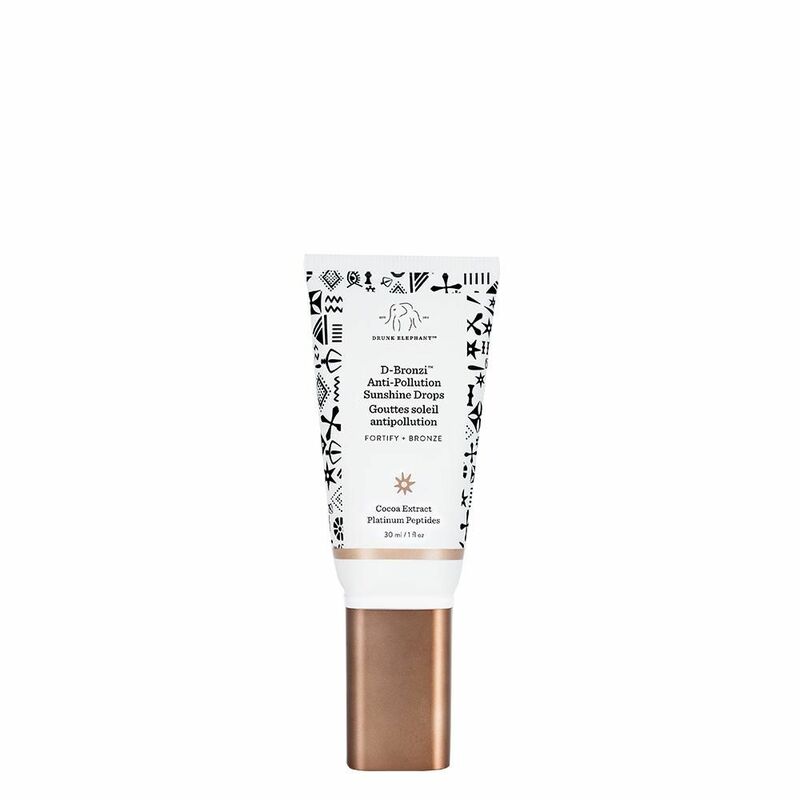 Infused with antioxidants and self-tanning hero ingredient dihydroxyacetone (DHA) — the colorless chemical that reacts with the amino acids in your skin to produce a temporary pigment — this bronzing water not only tans the skin within four to eight hours, but is the perfect topper to your makeup in the morning. You'll be glowing long after you wash it off. Build up a gradual tan that lasts weeks by adding these glow-boosting drops to your nighttime moisturizer. By morning, you'll look like you just spent your weekend at the beach instead of on the couch rewatching Game of Thrones. 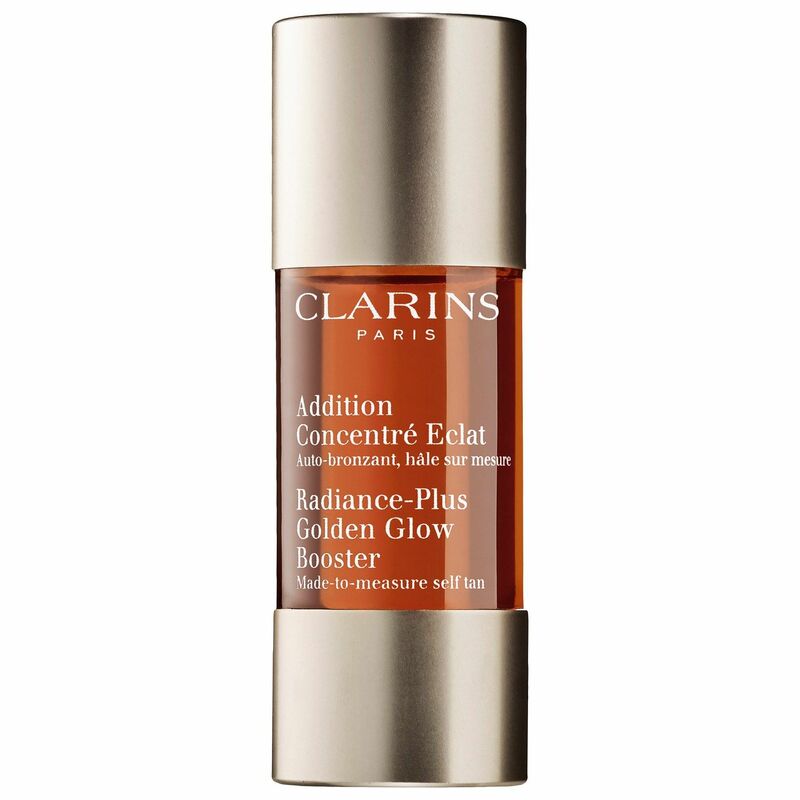 Want an instant tan without the stress of upkeep? Spritz this shimmery mist all over your face (and body, too) for a temporary glow. 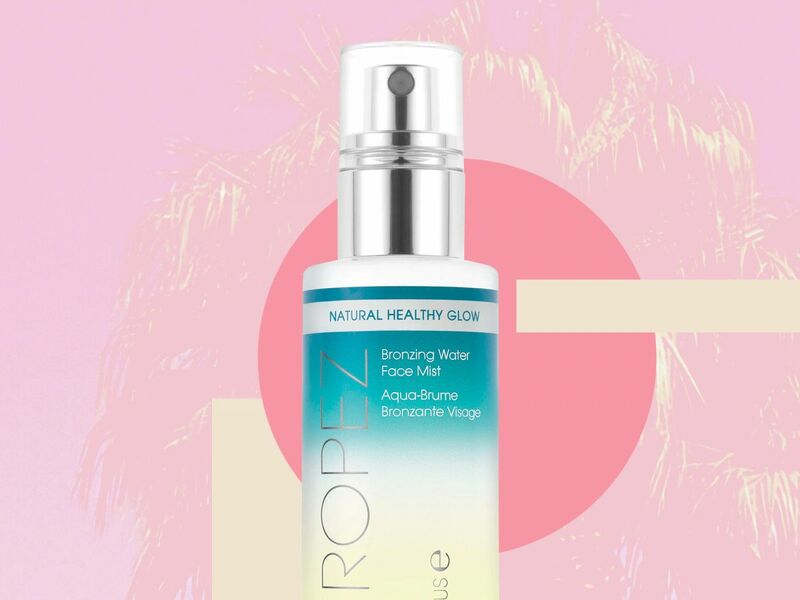 Skip the gradual tanner for this antioxidant-packed bronzing concentrate if you're looking for a glow that'll rinse off at the end of the day. If you want to maintain an even tan on your face, you have to cut out products from your skin-care routine that may cause premature fading, like vitamin C serums. 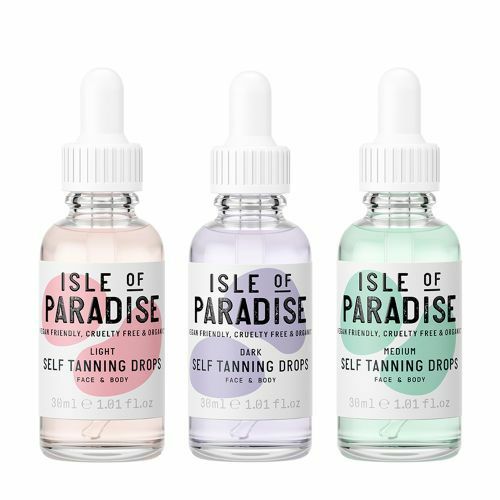 Luckily, if color correction is your main priority, these mix-in oil drops address skin discoloration (think: redness or sallow texture) while gradually bronzing the skin. Just add anywhere from one to 12 drops to your moisturizer (the more drops, the deeper the tan) before smoothing over your face and chest. Be aware, however, that all three formulas contain coconut oil, so consider an alternative tanning solution if the hydrating hero doesn't work for you. 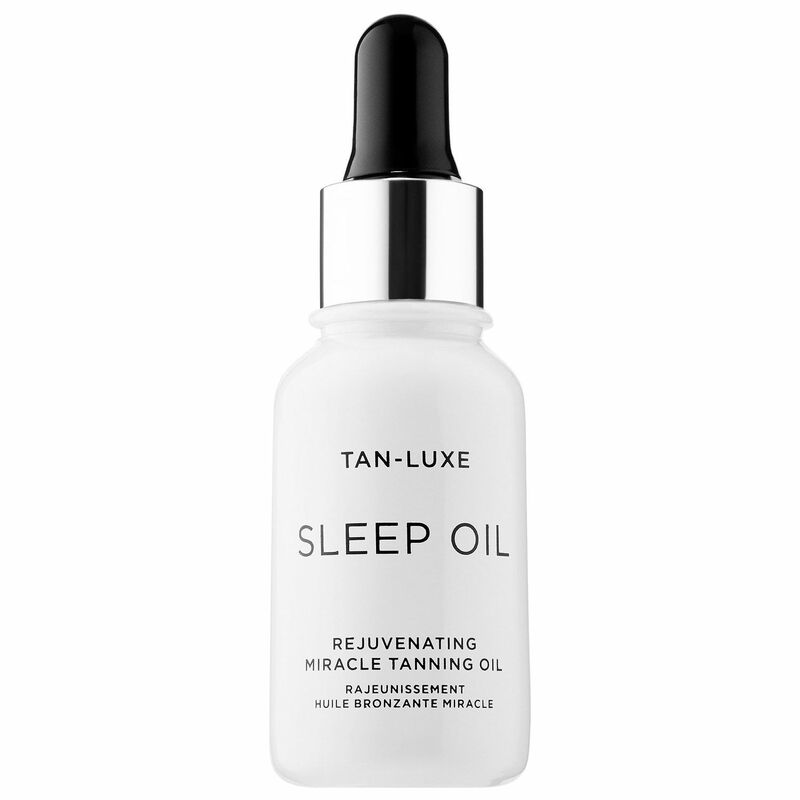 The name says it all: This is a self-tanner that works while you sleep and offers hydrating benefits thanks to a concoction of oils, including argan, marula, and jojoba. After cleansing and exfoliating your skin at night, drop an entire pipette of the translucent oil into your palm and massage in. Oils are great, but prone to streaking if you're not careful. 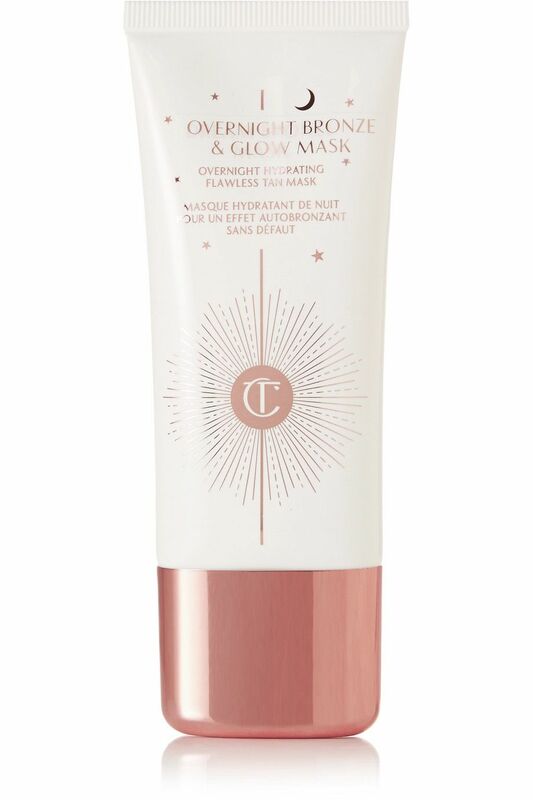 Luckily, this overnight mask exists for self-tanning beginners who don't want to miss a spot with a slippery oil, but still want to wake up with a just-got-back-from-somewhere tan. 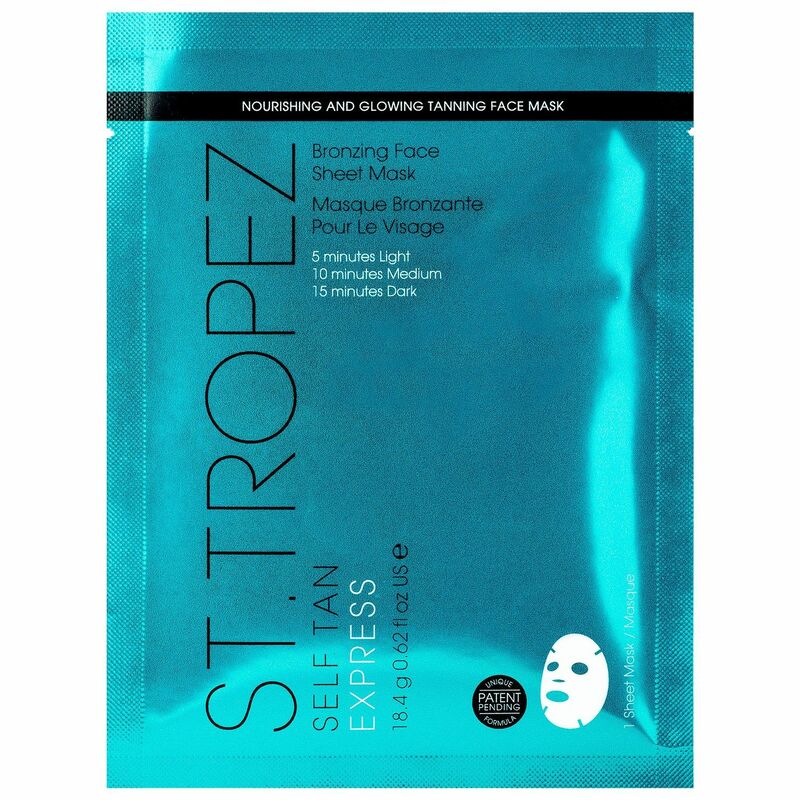 Leave this DHA-spiked sheet mask on for five to 15 minutes, depending on your preferred tan intensity (five minutes for a light glow, 10 minutes for a medium tan, and 15 minutes for a dark bronze). Wake up to a bright and radiant tan — and applaud your stain-free pillowcase. 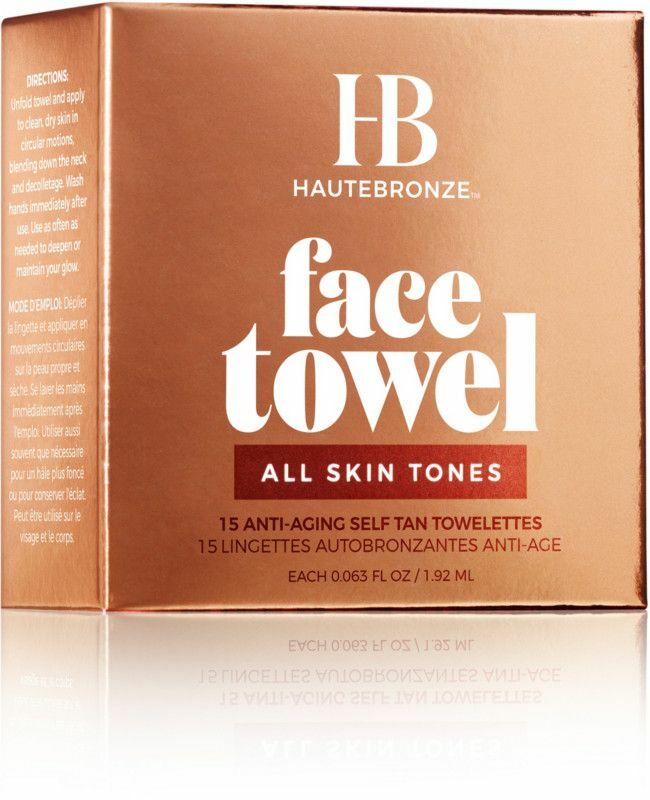 Self-tanning can be a tedious process — these fast-acting DHA-infused towelettes make it the opposite. You'll see the color developing within two hours after application. The prospect of a perfect tan hinges on regular exfoliation. 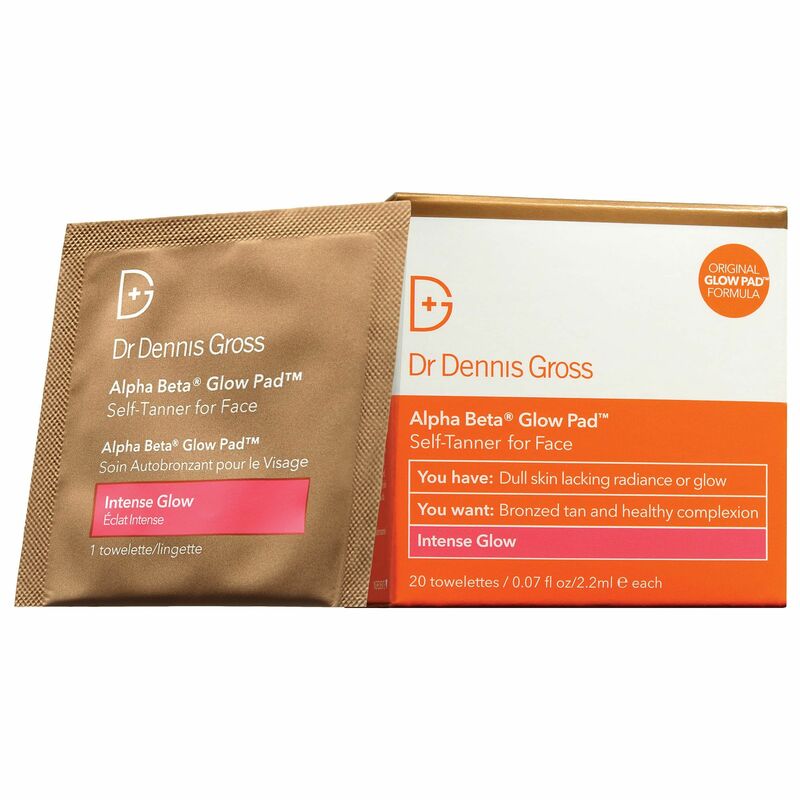 Just in case you're too lazy to split that up into two separate steps, these glow pads combine the scrubbing and tanning all into one.